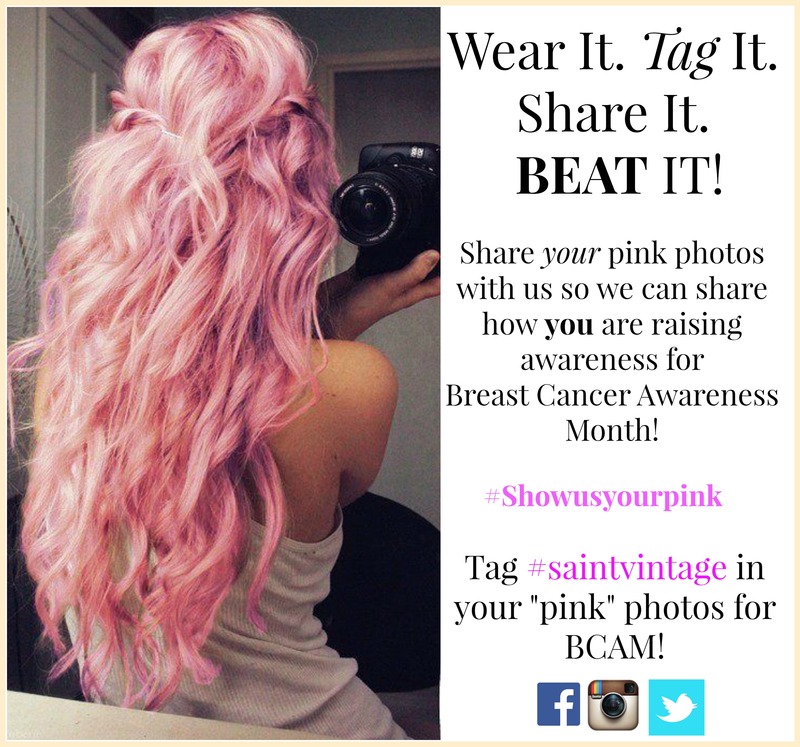 Go Pink & Support Breast Cancer Awareness Month with Saint Vintage! The month of October is a very special month to the Saint Vintage team as it not only represents Breast Cancer Awareness month but it’s a very honorable month for our founder, and two-time cancer survivor, Paige Jansen-Nichols. Given a 20% chance of survival and more than one cancer diagnosis, Paige channeled her insistence for a cure for cancer and compassion for others into an Eco-friendly luxury brand that gives back to cancer research. Saint Vintage wanted to celebrate this month in a very special way which is why on Friday (October 4th) Saint Vintage will not only be donating 100% of PINK jewelry sales to Stand Up To Cancer, but Paige will be speaking at the Power of Women Event in LA. The honorees participating within the event are Charlize Theron, Jennifer Hudson, Nicole Kidman, Amy Pascal, Amy Poehler & Kerry Washington. We hope you join us on twitter and Facebook to see all the exciting news and press from the event! Show your support this Breast Cancer Awareness month and become part of making a difference by helping our team find a cure. Together we will find a cure!